Prepare your board. Paint it, stain it or leave it raw. Whatever you prefer. 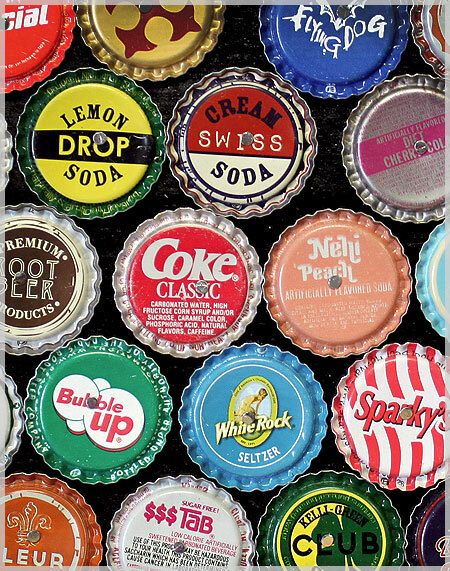 Lay out your flattened bottle caps so you can determine your design and placement. Now comes the fun part -- get out your hammer! Attach the bottle caps to your board. No need to predrill the caps. 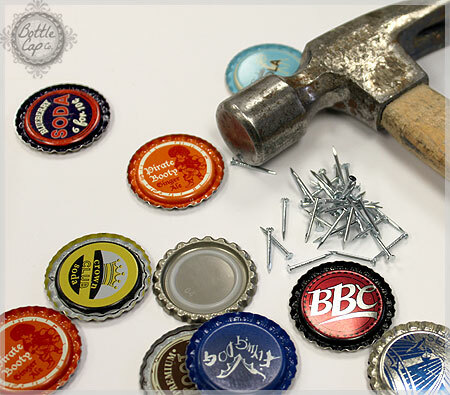 Just place your cap on the board, hold your nail on top of the bottle cap and give it a couple taps with your hammer. If you don't want to use nails and a hammer, E6000 glue will work great! 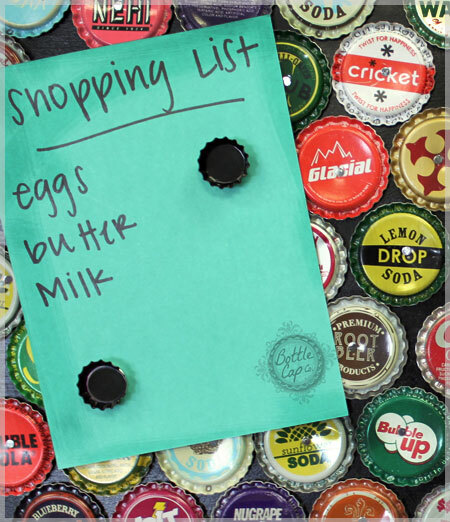 Your magnetic message board is handy for messages, lists, photo display or anything else you have in mind. Plus it will add a unique piece of decor to your home! 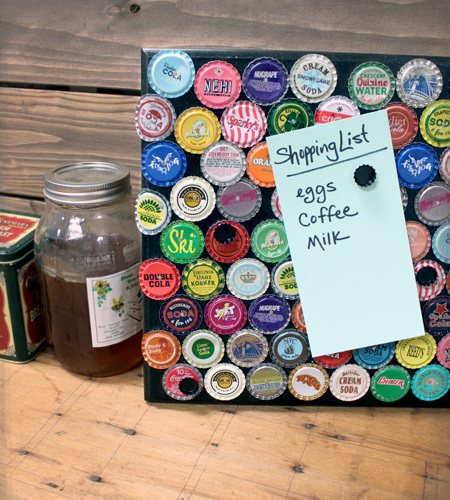 Use Mini Bottle Caps with Magnets on them to attach your items to the board. 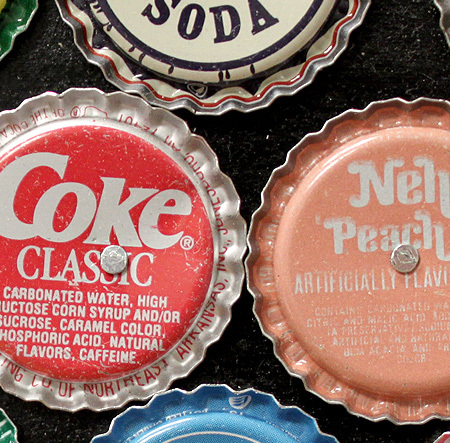 I used Random Vintage Bottle Caps for this project to give it a more rustic and nostalgic feeling, but you can use any combination of bottle cap colors to bring your own style to this project! 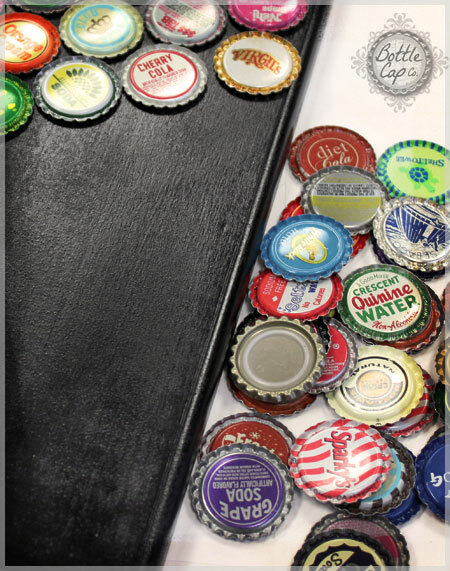 There are so many possibilities for DIY Magnetic Bottle Cap Message Boards, so be creative and have fun! !